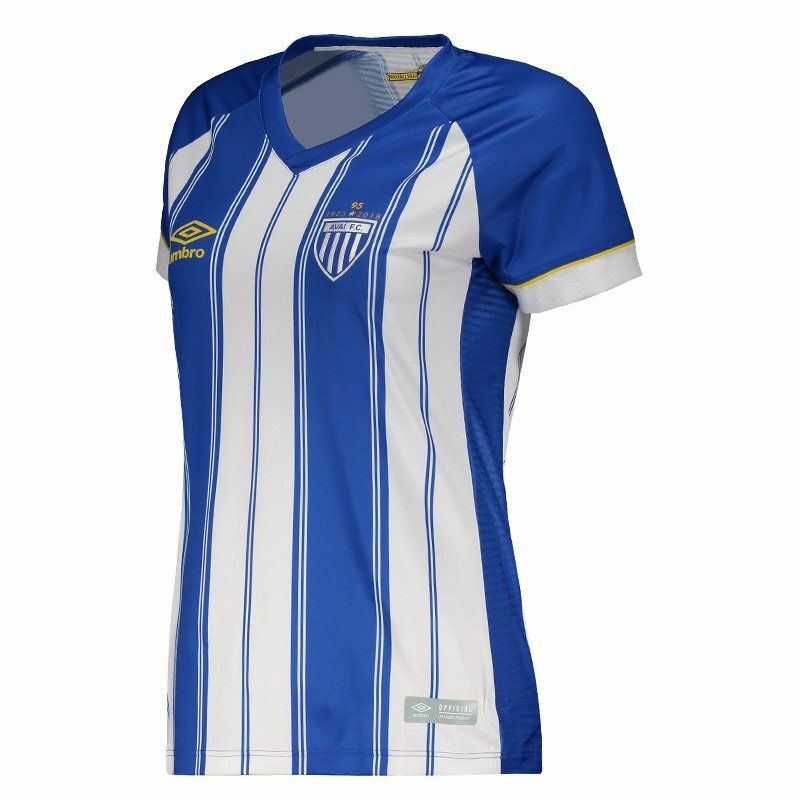 Manufactured by Umbro, the Avaí Home 2018 Women Jersey is made of lightweight, breathable polyester. Features small mesh screens that help keep the fan's body cool and airy during use. It offers name and number customization. More info. 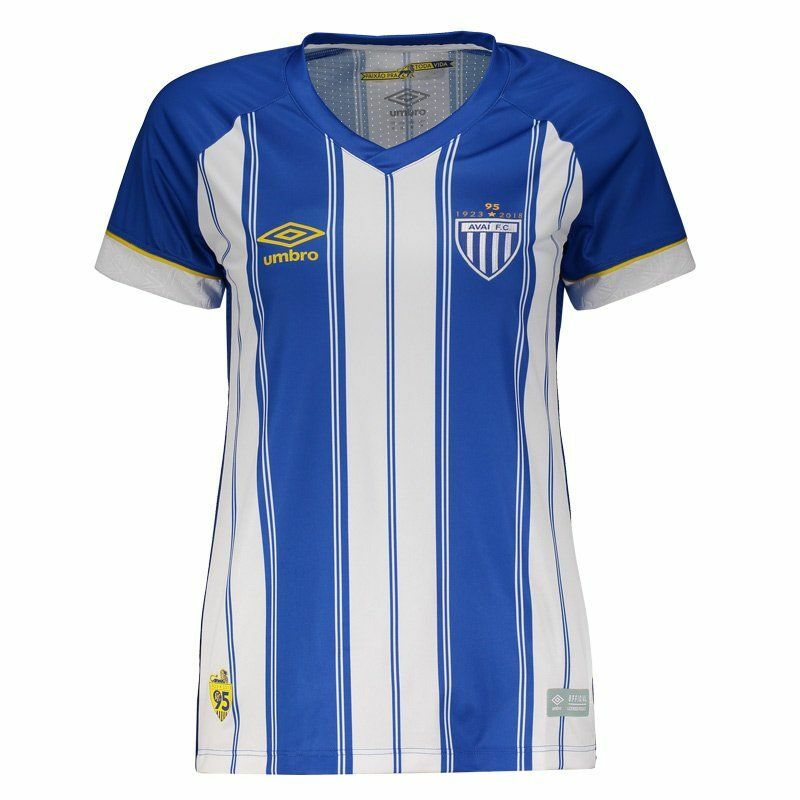 Manufactured by Umbro, the Avaí Home 2018 Women Jersey is made of lightweight, breathable polyester. Features small mesh screens that help keep the fan's body cool and airy during use. 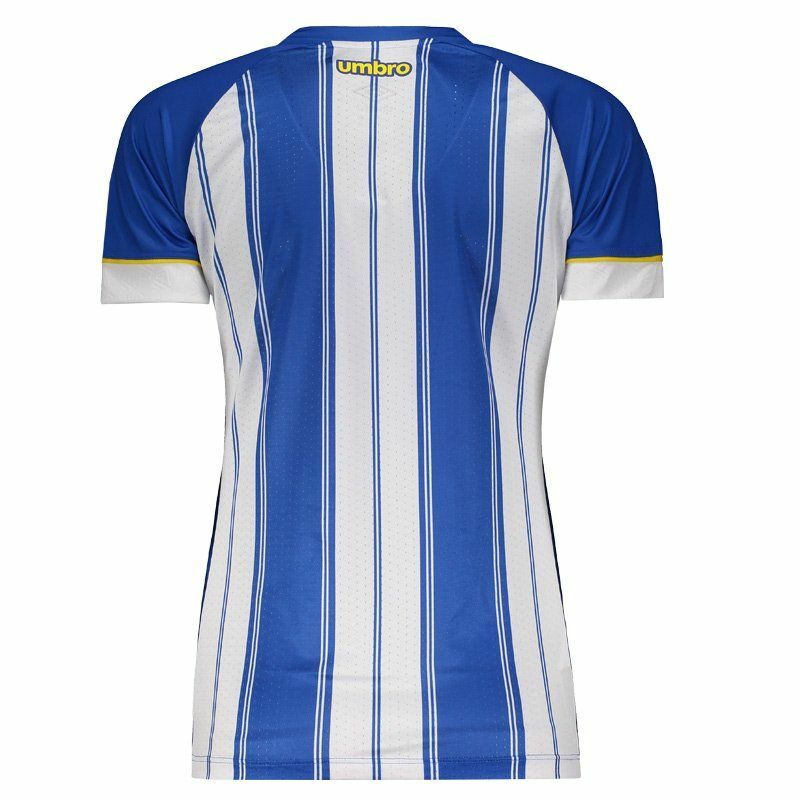 The design features the traditional royal blue as predominant and features vertical stripes white and blue, which highlight the team's badge, seen fixed on the chest. 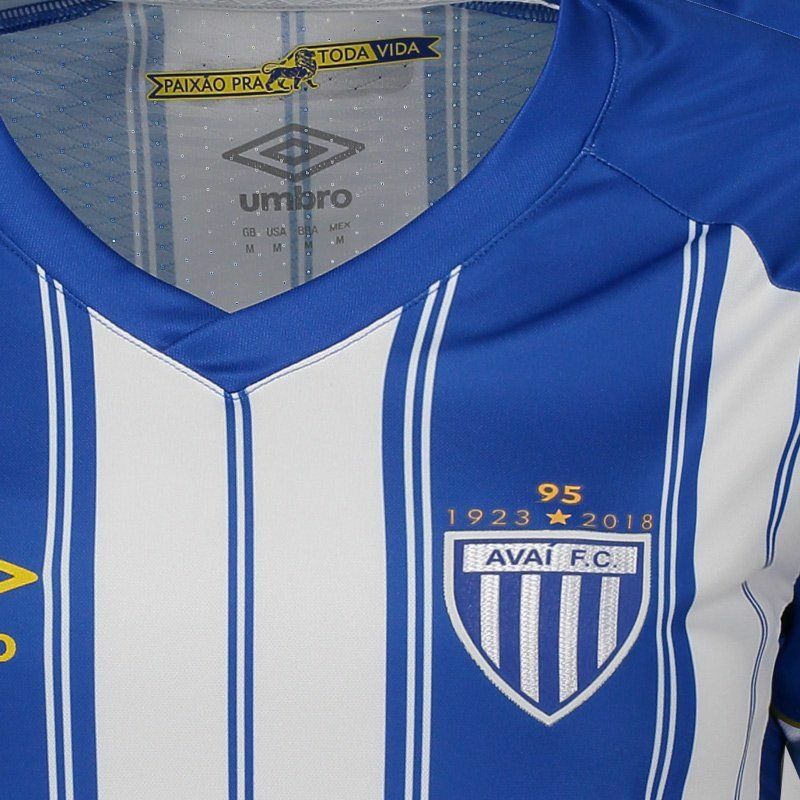 There is also the number 95, which represents the club's birthday, and the dates 1923 - 2018. The collar is V with fabric overlaid and counts with the inscription "Passion for All Life". Next to the bar, the mascot of the team and the acronym AFC, with the symbol that was used in the past, mark presence. Finally, in the cuff of the sleeves, comes with a stylized print in reference to the Island Lion.